Some games only let you be some white guy who saves the world. Some games let you customize everything from skin tone to eyebrow height. In one seriously bold move, creators of the realist survival game Rust just introduced a feature that randomly selects a players race. In the first iteration of the game, every player was running around fighting hypothermia and building shacks as a bald white guy. But now, players characters come in different skin colors. Founder of Facepunch Studios Garry Newman wrote in the Rust dev blog post about the change: “Just like in real life, you are who you are — you can’t change your skin color or your face.” He notes that each character’s appearance is actually tied to each player’s SteamID, so it can’t be changed. “It makes me wish I’d set up some analytics to record how many times the N-word was used before and after the update” Newman said. But Newman also said that he noticed these less-awesome players weren’t the majority and were usually “confronted” (apparently this means they teamed up and hunted the fools down) by other players in the game. 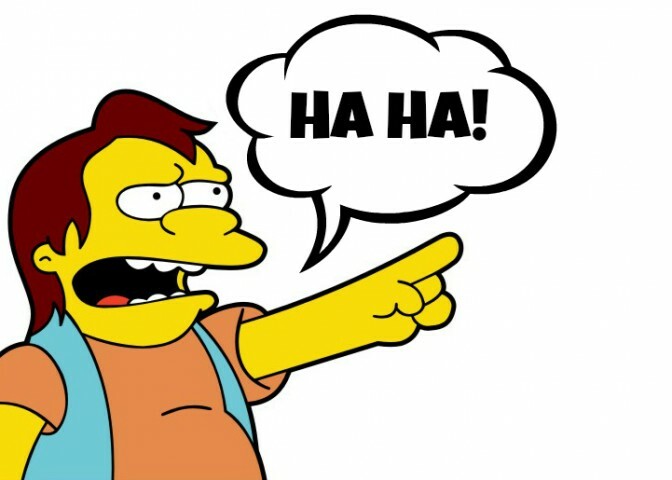 Is it wrong that all I can think of doing after reading all the butthurt racist responses is giving a loud, menacing Nelson-from-the-Simpons-esque “HA HA!”? Happily, there has also been some good responses to the change, and even some gamers stepping up to remind others that being “forced” to play as a different race is pretty much what every gamer of color deals with in most games. You can peep a solid sampling of the responses over at Al Jazeera’s great analysis of this change. The concept is pretty unique and fresh (and pretty darn cool), and Rust‘s realistic survival theme makes it a perfect game to try out such a concept. While the game play doesn’t really reflect any of the real-life social situations one might face due to skin color, having players play as a race that isn’t their own just might lead the way to more even more interesting experimentation with social issues in gaming. Or, at the very least, it could help a few gamers think about their own relationship to race in the real world. All in all, well done, Facepunch Studios. This slow clap’s for you.